As Hurricane Florence draws closer to our region, now is the time to prepare for potential impacts. 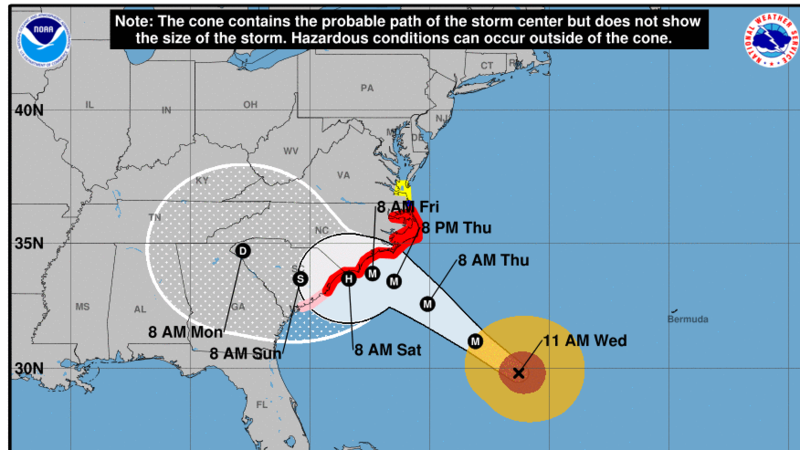 The Arlington County Department of Public Safety Communications and Emergency Management (DPSCEM) is encouraging all residents to prepare now for Hurricane Florence. Do not wait until the day before. Here are some tips to get you and your family ready, remembering three key steps: Be Informed; Plan Ahead; and Build a Kit. Stay aware by having multiple ways to get information, and be sure to keep an eye on the forecast. Sign up for emergency weather and traffic alerts at ArlingtonAlert.com. Make an emergency plan. It’s important for you and your family to have a plan for an emergency to help everyone stay calm and to know what to do. You may not be together when an emergency happens, so plan for all locations you frequent, such as your home, work and school. Visit DPSECM’s Hurricane Florence page for more info on how to prepare your home for heavy rains and high winds. Prepare for Wind & Rain: Florence’s impact in Arlington is most likely to be felt in strong winds and heavy rain. Before the storm arrives, see the County’s tips on how best to prepare, like securing garbage cans and cleaning gutters. Reduce Your Risk of Flooding: Flooding can be a very costly disaster, and the risk for flooding can vary within the same neighborhood, and even property to property. Here are steps that you can take as a property owner to reduce your risk of flooding. Business Prep: Before Hurricane Florence (or any major storm) hits, there are several precautions you can take to minimize damage to your home or business. Building Arlington has compiled tips on preparing for a storm for both businesses and commercial properties. Assemble Emergency Supplies. Get supplies together that you may need for your family for at least three days (and don’t forget to include the needs of pets!). While Hurricane Florence’s expected path has shifted to the South, there will likely still be impacts Friday due to coastal flooding and expected rainfall. More importantly, the forecast is still uncertain, and the exact track and intensity will depend upon landfall. Excessive rain in Arlington County may cause flooding, and as the ground becomes more saturated, it will be easier for winds to knock over trees and take down power lines. Be prepared for power outages. Remember: do not travel through flooded roadways. Turn around, don’t drown. Do not DRIVE into standing water. If floodwaters rise around your car, abandon the car and move to higher ground if you can do so safely. You and the vehicle can be quickly swept away. Six inches of water will reach the bottom of most passenger cars, causing loss of control and possible stalling. A foot of water will float many vehicles. Do not WALK through moving water. Six inches of moving water can make you fall. Ensure water does not come in contact with electric panels, outlets or electric appliances. Unplug appliances if they’re threatened by water. Pay special attention to washers and dryers, which have motors located in the bottom of the appliance. If the water level rises high enough to threaten the electrical panel, turn off power to the building. Check on others: Check on relatives, friends and neighbors, especially those who are elderly or at risk, to ensure they’re safe. Keep in mind that severe weather may impact your regular trash collection schedule — check the Arlington DES page for the latest info. Heavy rains and fallen trees can result in power outages, traffic signals not working and downed power lines. 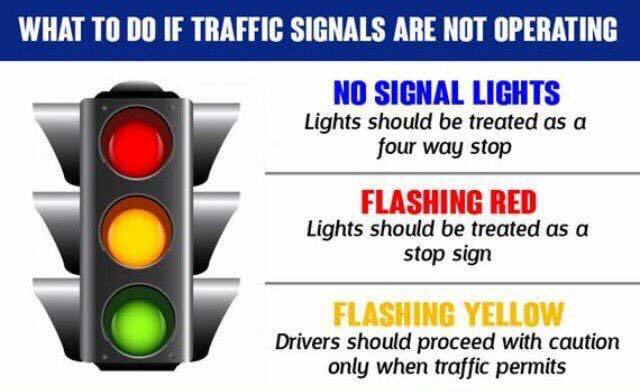 What to do if traffic signals are not operating: Traffic signal outages during the storm should be reported to the Emergency Communications Center at 703-558-2222 so dispatchers can notify County crews and ACPD officers if there is a safety issue. For power lines that are threatened by trees or branches, call Dominion Power at 1-888-667-3000. Call the Department of Parks and Recreation at 703-228-6525 for fallen or hazardous trees and branches on Arlington County streets and in parks during regular business hours (Mon.-Fri., 8 a.m. – 5 p.m.) or email Parks Maintenance. Protect yourself with rubber boots and waterproof gloves. Disease-causing microorganisms can enter the body through the eyes, nose, mouth, and cuts and abrasions. Remove and discard contaminated household goods such as wall coverings, rugs, cloth, and drywall that cannot be disinfected. Always wash your hands with soap and water following the cleanup or handling of articles contaminated with sewage. Small children, pregnant women and people with health problems should stay out of affected areas until cleanup is complete. 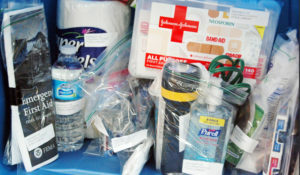 Some water-damaged items may require a special pick-up. Regular trash pick-up may handle other materials. Learn more about trash. Insurance tips: Do you have storm damage and need to make an insurance claim? The Virginia State Corporation Commission’s Bureau of Insurance has some tips to think about when preparing to and contacting your insurance company. Learn more at the floodsmart.gov. 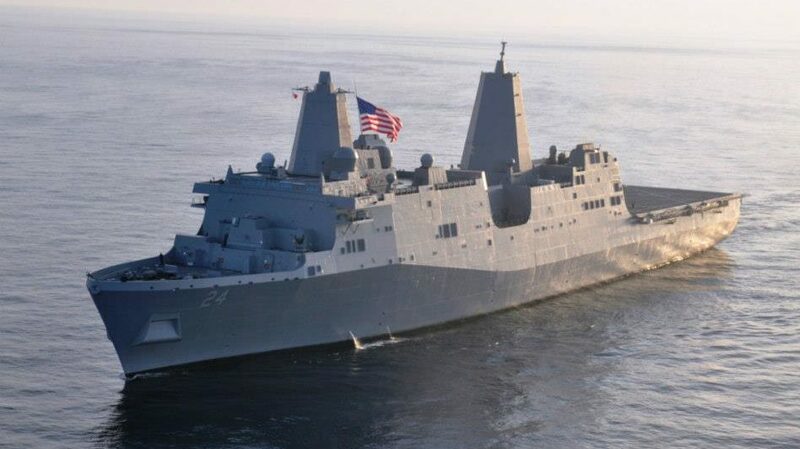 The U.S. Navy vessel honors the victims and first responders of the 2001 attack on the Pentagon.